Open Daily from 11:00 a.m. - 3:00 p.m.
You can meet our inventors and observe their work daily from 11:00 a.m. to 3:00 p.m.
Our coral team consists of Dr. Andrew Baker, an associate professor of marine biology and ecology at the University of Miami’s Rosenstiel School of Marine and Atmospheric Science, and Dr. Rivah Winter, a curator of aquarium content and marine science at Frost Science. They want to make corals more climate-change resilient by developing ways to keep more algal symbionts inside coral tissues in warmer water temperatures, maintaining the mutually beneficial relationship between the algae and corals that is necessary for coral survival. The team plans to use these methods to increase the heat tolerance of corals used for reef restoration, helping them survive as ocean temperatures rise. 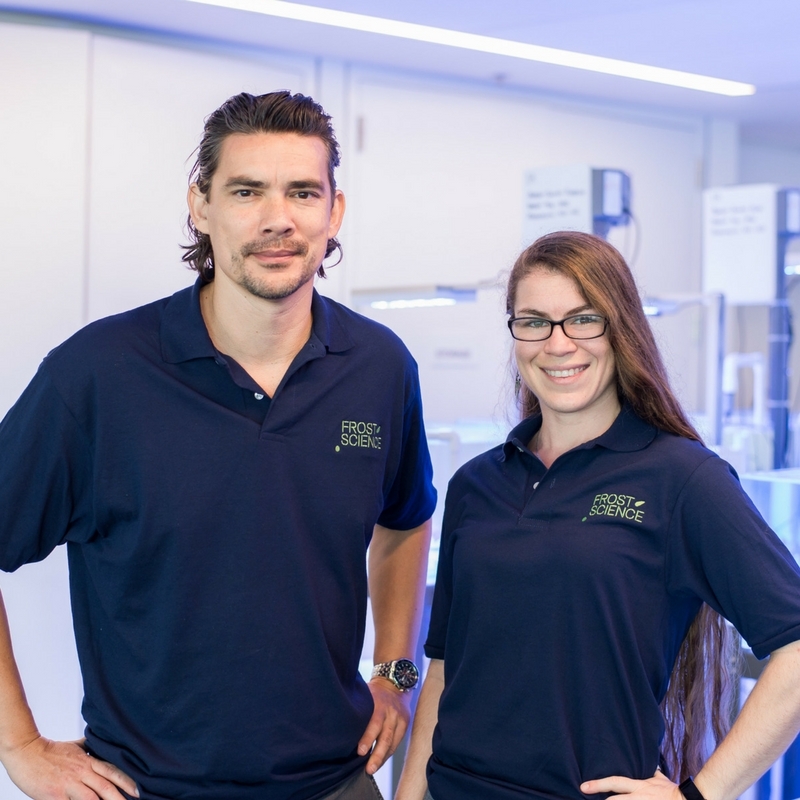 The Inventors in Residence program was conceived by engineer and entrepreneur Dr. Ted Caplow and is being jointly developed by Caplow, Nathalie Manzano and Frost Science. Caplow is the founder of immersive science education pioneer New York Sun Works.